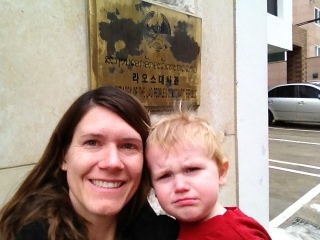 This past week I visited the Lao Embassy in Seoul to get our visa’s to enter Laos. Though you can get them on arrival, we are doing a land crossing on a bus and I wanted to have everything in order. I could not find information in English about how to do this, so this post is for any foreigners who are in Korea and will be travelling to Laos. First, the embassy is in the Itaewon part of Seoul, but not on a main road. It’s down a residential street. Google maps accurately pinpointed it with this address: 657-9 Hannam-Dong Yongsan-gu Seoul South Korea. To get there from Osan I drove up highway 1, continued across the Hannam-gyo (bridge), and then took the first right exit AFTER completely crossing the bridge – signs say for Itaewon. At the base of this ramp is a crazy intersection – you will be turning LEFT, the middle LEFT, onto Daesagwon-ro…it’s the smallest, most business-full of the options. Continue (slowly for all the flashing red lights, taxi’s and pedestrians) along Daesagwon-ro, then take a RIGHT on the 6th alley after the intersection; it’s called 11-gil. One landmark to look for is the Thai Embassy on your left, 11-gil will be the next right turn. This is the alley just before the road goes up a steep hill. It is hard to notice until you are just upon it. Continue down the alley/road and turn RIGHT at the 3rd dead-end alley. 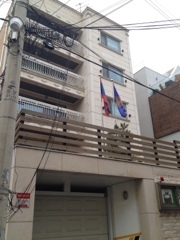 The Laos Embassy will be in a 3 floor apartment-like building on your Right – look for the flags. There is no where to park, so try not to block the road completely. Driving is not ideal, but can be a lot quicker than taking the train from Osan if you miss the traffic. I find that I can leave Osan around 9am and miraculously make it into downtown Seoul within the hour. I then turn around and head back before lunch hour traffic begins….or stay for lunch in Itaewon and take the “back way” along route 309. To get there on foot from within Seoul, take the subway to Itaewon station and walk out exit 6. Continue walking east along Itaewon-ro until just after it curves and most of the shops are behind you. From here you will turn RIGHT down a steep road (Daesagwon-ro); be careful along this road it does not seem very pedestrian friendly, though there is a walking overpass at the center portion. Just at the base, you will be turning LEFT into the Daesagwon 11-gil alley. Continue along this alley and then turn RIGHT down the 3rd dead-end alley. 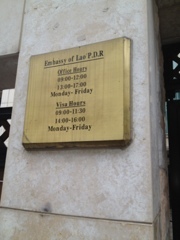 The Laos Embassy is on your right in a 3 floor apartment-like building with flags in the courtyard out front. I do not believe a taxi would be willing to take you down 11-gil and will likely drop you at the entrance to the alley. At the Embassy you will need to use the call box out front to gain entry; directions in English said to dial 101, which I did and the courtyard door buzzed open. Inside the building on the first floor is the Office where they have visa applications to fill out. The people working there were very kind and helpful; I don’t believe they get a lot of walk-in visa applications. English was well-spoken. To get a Lao visa you need to fill out the application, affix 1 passport photo, and submit it with your passport for 3 days to process. Ask at this time what your fee will be, and what currency they would like it paid in. For U.S. passport holders the fee was $35 in U.S. dollars cash. You will pay when you pick up your passport with the visa stamp inside. The office is open from 0900 – 1700, but breaks from 1200-1300. Visa services, however, are only available from 0900-1130 and also from 1400-1600. My visa was finished early, so they kindly called to let me know I should pick it up (and that they would be closed the next day for a Korean holiday). I happened to arrive during the non-visa hours and they very kindly still allowed me to pick them up and pay my fee. Thank you so much for posting this! 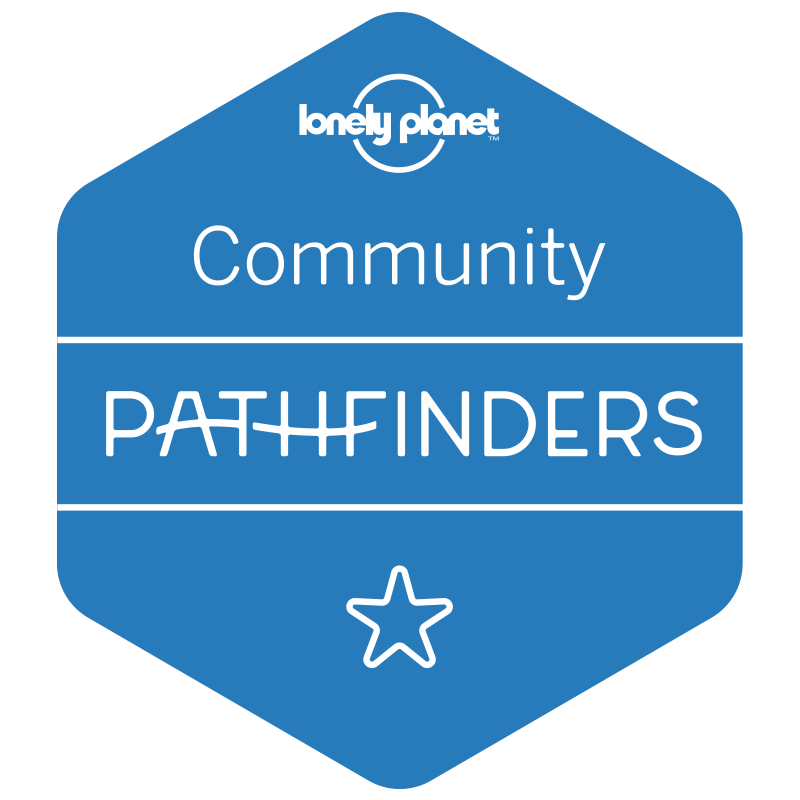 I just stumbled upon this blog and I love it!